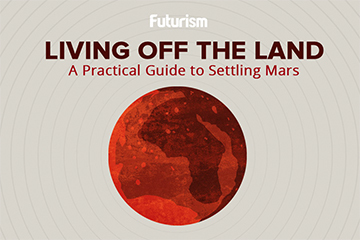 The Science Guy has a few ideas on how we’d adapt to the Red Planet. Bill Nye doesn’t believe we’ll ever colonize Mars, but if we do, he has an idea of how our bodies might adapt to survive on the Red Planet. He recently shared it via his “Tuesdays with Bill” series for Big Think. Humans born on Mars might have a tough time surviving on Earth. The surface gravity of Mars is only 38 percent of what we have here on Earth. That means the hearts of humans born on that planet might not be able to tackle as much aerobically on Earth. In fact, astronauts who travel to Mars and stay there long enough for their bodies to adjust to the lower level of gravity will likely experience permanent changes in circulation, muscle strength, and bone density, making it impossible for them to return to Earth. Would our bodies ever truly adapt to Mars? Well, evolution is slow. In fact, the process is barely noticeable. Serious selection pressure would be necessary for it to have a discernible effect on the population, for example, only the offspring of women who could handle Martian gravity surviving long enough to reproduce. Some people believe that terraforming planets such as Mars is a better idea — rather than waiting for our bodies to adapt to the planet’s environment, we’d change the environment to adapt to us. In the case of Mars, we’d have to alter its ecology, atmosphere, topography, temperature, and other traits. Ultimately, Bill Nye doesn’t see it happening — although he likes the question being asked!